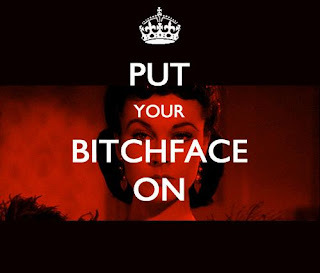 The Litter Box: Why So Vengeful? 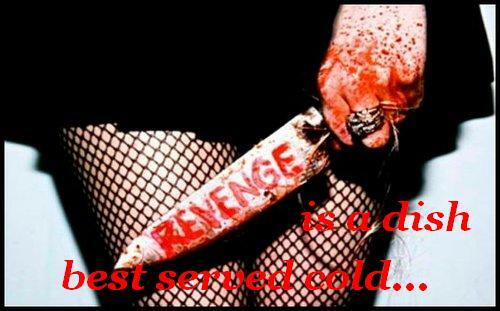 As they say Revenge is a dish best served cold but what do we really reap out of vengeance to begin with? I know that at some point in our lives, we have felt so tired and angry of everything that we just want to vent it on something or someone. I have been there and I have felt that way but now I question myself. What is the point of such pointless actions? Sure, taking revenge on something or someone can somehow make you feel sated for a while with the contentment that you finally got even but in the long run I don't think it ever means anything. To be honest, I do not know how to feel about these words. 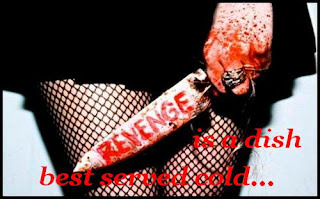 Whether it is VENGEANCE, REVENGE OR AVENGE -- they all are the same. We just use them different but at the end of the day, they are all the same to me. Many things have happened in my past that have lead me to believe that I should hate but as time passes and as I grow old, I learn that holding on to anger can only bring a person to self ruin and yes; even be the cause of a person's demise. I do not want to die a lonely person filled with anger and hate. I want to die happy and successful. If there is one thing I am good at it's trying to turn negativity to positivity. No, I am not a skeptic. God has a role to play here too. For only when he purifies what's in our hearts, only then will we able to let go. I am a mere human who has felt these things eat at me alive and yet I am still here. All because I have learned not to succumb to such temptations and of course because I was saved. But the sad truth is that we humans are savages...Our true nature is filled with hate despite the fact that we are all created good. We just turn evil due to many reasons and wishing for vengeance is just one good example of them. If only other people will know that there are other better ways to get vengeance, more positive ways to be exact. There is always SUCCESS or LIVING A BETTER LIFE. 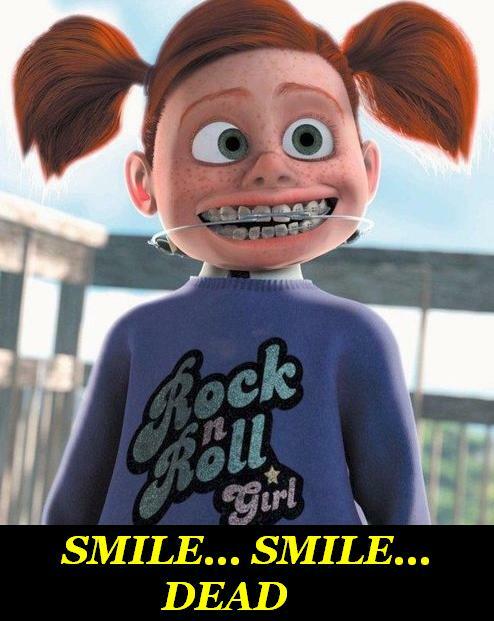 SMILING can be a good solution too. While others simply just let it all fade away. 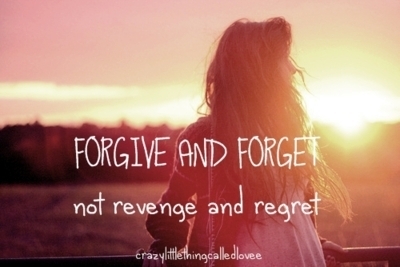 FORGIVE AND FORGET as they always say. I do not want to be partial in saying which side I am taking in this endless battle between good and evil inside ourselves. I also do not want to be biased or to be called a hypocrite. I have said what I have to and will go on believing as how it should be. Life goes on with or without vengeance. Who knows maybe if you didn't have it in your system, you might a better life but I shall let you be the judge of that. Poor Ken! 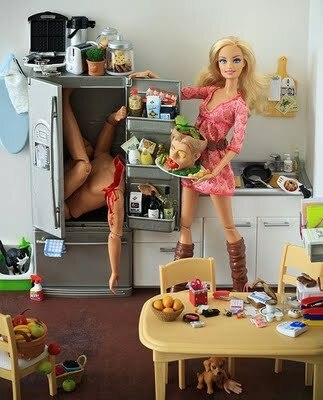 Just when he thought hurting innocent Barbie was a good since she knew she was innocent and harmless so look who is smiling now. Some people just put their best poker face on. No, I am not talking about Lady Gaga here but rather the apathetic faces that people put on as their masks sometimes in order to get even with people they despise. I do this sometimes since when I am angry, I try to calm myself down by merely thinking of inner peace and happy thoughts so I just smile, smile and smile even if I actually hate the person or the situation in front of me. The smile doesn't look natural though but still at least I am trying not to look grumpy or annoyed. Success is one of the best solutions in this kind of warfare. If you have been hurt then prove to them that they do not deserve to do such a thing to you. How? By becoming better than them and learning to love yourself which will then lead you to a happier and more well lived life. What's so bad about that? Forgiving and forgetting has been an age old technique for many centuries now. Too bad that it is more popular to be heard of than to be applied.